"Land tax" redirects here. For the land tax levied in England from 1692, see English Land Tax. A land/location value tax (LVT), also called a site valuation tax, split rate tax, or site-value rating, is an ad valorem levy on the unimproved value of land. Unlike property taxes, it disregards the value of buildings, personal property and other improvements to real estate. A land value tax is generally favored by economists as (unlike other taxes) it does not cause economic inefficiency, and it tends to reduce inequality. Land value tax has been referred to as "the perfect tax" and the economic efficiency of a land value tax has been known since the eighteenth century. Many economists since Adam Smith and David Ricardo have advocated this tax, but it is most famously associated with Henry George, who argued that because the supply of land is fixed and its location value is created by communities and public works, the economic rent of land is the most logical source of public revenue. A land value tax is a progressive tax, in that the tax burden falls on titleholders in proportion to the value of locations, the ownership of which is highly correlated with overall wealth and income. Land value taxation is currently implemented throughout Denmark, Estonia, Lithuania, Russia,, Singapore, and Taiwan; it has also been applied to smaller extents in subregions of Australia, Mexico (Mexicali), and the United States (e.g., Pennsylvania). 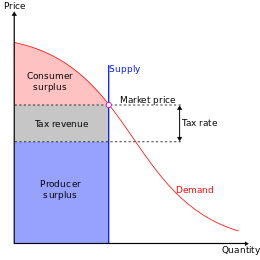 A supply and demand diagram showing the effects of land value taxation. As the supply of land is fixed, the burden of the tax falls entirely on the land owner. There is no change in the rental price and quantity transacted, and no deadweight loss. Most taxes distort economic decisions and suppress beneficial economic activity. LVT is payable regardless of how well or poorly land is actually used. Because the supply of land is essentially fixed, land rents depend on what tenants are prepared to pay, rather than on landlord expenses, preventing landlords from passing LVT to tenants. The direct beneficiaries of incremental improvements to the area surrounding a site are the land's occupants. Such improvements shift tenants' demand curve to the right. Landlords benefit from price competition among tenants; the only direct effect of LVT in this case is to reduce the amount of social benefit that is privately captured as land price by titleholders. "removing almost all business taxes, including property taxes on improvements, excepting only taxes reflecting the marginal social cost of public services rendered to specific activities, and replacing them with taxes on site values, would substantially improve the economic efficiency of the jurisdiction." A positive relationship of LVT and market efficiency is predicted by economic theory and has been observed in practice. Fred Foldvary stated that the tax encourages landowners to develop vacant/underused land or to sell it. He claimed that because LVT deters speculative land holding, dilapidated inner city areas return to productive use, reducing the pressure to build on undeveloped sites and so reducing urban sprawl. For example, Harrisburg, Pennsylvania in the United States has taxed land at a rate six times that on improvements since 1975. This policy was credited by mayor Stephen R. Reed with reducing the number of vacant structures in downtown Harrisburg from around 4,200 in 1982 to fewer than 500. LVT is arguably an ecotax because it discourages the waste of prime locations, which are a finite resource. LVT is an efficient tax to collect because unlike labour and capital, land cannot be hidden or relocated. Many urban planners claim that LVT is an effective method to promote transit-oriented development. The value of land is related to the value it can provide over time. This value can be measured by the ground rent that a piece of land can rent for on the market. The present value of ground-rent is the basis for land prices. A land value tax (LVT) will reduce the ground rent received by the landlord, and thus will decrease the price of land, holding all else constant. The rent charged for land may also decrease as a result of efficiency gains if speculators stop hoarding unused land. Real estate bubbles direct savings towards rent seeking activities rather than other investments and can contribute to recessions. Advocates claim that LVT reduces the speculative element in land pricing, thereby leaving more money for productive capital investment. A land value tax has progressive tax effects, in that it is paid by the owners of valuable land who tend to be the rich, and since the amount of land is fixed, the tax burden cannot be passed on as higher rents or lower wages to tenants, consumers or workers. Levying a land value tax is straightforward, requiring only a valuation of the land and a title register. Value assessment can be difficult in practice. In a 1796 United States Supreme Court opinion, Justice William Paterson said that leaving the valuation process up to assessors would cause bureaucratic complexities, as well as non-uniform assessments. Murray Rothbard later raised similar concerns, claiming that no government can fairly assess value, and that this can only be determined by a free market. Compared to modern day property tax evaluations, land valuations involve fewer variables and have smoother gradients than valuations that include improvements. This is due to variation of building style, quality and size between lots. Modern statistical techniques have eased the process; in the 1960s and 1970s, multivariate analysis was introduced as an assessment means. Usually, such a valuation process commences with a measurement of the most and least valuable land within the taxation area. A few sites of intermediate value are then identified and used as "landmark" values. Other values are filled in between the landmark values. The data is then collated in a database and linked to a unique property reference number, "smoothed" and mapped using a geographic information system (GIS). Thus, even if the initial valuation is difficult, once the system is in use, successive valuations become easier. In this case, land is taxed at 100% of its value, eliminating the landowner surplus completely. The ownership of land becomes worthless except to those who value it higher than market rents. 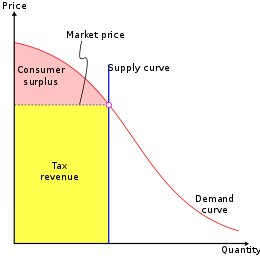 In the context of land value taxation as a single tax (replacing all other taxes), some have argued that LVT alone cannot raise enough revenues. However, the presence of other taxes can reduce land values and hence the amount of revenue that can be raised from them. The Physiocrats argued that all taxes are ultimately at the expense of land rental values. Most modern LVT systems function alongside other taxes and thus only reduce their impact without removing them. Land taxes that are higher than the rental surplus (the full land rent for that time period) would result in landowner abandonment. In some countries, LVT is impractical because of uncertainty regarding land titles and established land ownership and tenure. For instance a parcel of grazing land may be communally owned by village inhabitants and administered by village elders. The land in question would need to be held in a trust or similar body for taxation purposes. If the government cannot accurately define ownership boundaries and ascertain the proper owners, it cannot know from whom to collect the tax. The lack of clear titles is found in many developing countries. In African countries with imperfect land registration, boundaries may be poorly surveyed and the owner can be unknown. LVT proponents argue that such owners can be made to identify themselves under penalty of losing the land. The owner of a vacant lot in a thriving city must still pay a tax and would rationally perceive the property as a financial liability, encouraging him/her to put the land to use in order to cover the tax. LVT removes financial incentives to hold unused land solely for price appreciation, making more land available for productive uses. Land value tax creates an incentive to convert these sites to more intensive private uses or into public purposes. The selling price of a good that is fixed in supply, such as land, decreases if it is taxed. By contrast, the price of manufactured goods can rise in response to increased taxes, because the higher price reduces the number of units that are made. The price increase is how the maker passes along some part of the tax to consumers. However, if the revenue from LVT is used to reduce other taxes or to provide valuable public investment, it can cause land prices to rise as a result of higher productivity, by more than the amount that LVT removed. Land tax incidence rests completely upon landlords, although business sectors that provide services to landlords are indirectly impacted. In some economies, 80 percent of bank lending finances real estate, with a large portion of that for land. Reduced demand for land speculation might reduce the amount of circulating bank credit. While owners cannot charge higher rent to compensate for LVT, removing other taxes may increase rents. Assuming constant demand, an increase in constructed space decreases the cost of improvements to land such as houses. Shifting property taxes from improvements to land encourages development. Such infill of underutilized urban space also combats sprawl. LVT is less vulnerable to tax evasion, since land cannot be concealed or moved overseas and titles are easily identified, as they are registered with the public. Land value assessments are usually considered public information, which is available upon request. Transparency reduces tax evasion. Land acquires a scarcity value owing to the competing needs for space. The value of land generally owes nothing to the landowner and everything to the surroundings. LVT supporters claim that the value of land depends on the community. Everyone knows that the Fathers of the Church laid down the duty of the rich toward the poor in no uncertain terms. As St. Ambrose put it: "You are not making a gift of what is yours to the poor man, but you are giving him back what is his. You have been appropriating things that are meant to be for the common use of everyone. The earth belongs to everyone, not to the rich." In addition, the Church maintains that political authority has the right and duty to regulate, including the right to tax, the legitimate exercise of the right to ownership for the sake of the common good. LVT considers the effect on land value of location, and of improvements made to neighbouring land, such as proximity to roads and public works. LVT is the purest implementation of the public finance principle known as value capture. A public works project can increase land values and thus increase LVT revenues. Arguably, public improvements should be paid for by the landowners who benefit from them. Thus, LVT captures the value of socially created wealth, allowing a reduction in tax on privately created (non-land) wealth. LVT generally is a progressive tax, with those of greater means paying more, in that land ownership is correlated to incomes and landlords cannot shift the tax burden onto tenants. LVT generally reduces economic inequality, removes incentives to misuse real estate, and reduces the vulnerability of economies to property bubbles and their collapse. Aryan sages of ancient India claimed that land should be held in common and that unfarmed land should produce the same tax as productive land. "The earth ...is common to all beings enjoying the fruit of their own labour; it belongs...to all alike"; therefore, "there should be left some for everyone". Apastamba said "If any person holding land does not exert himself and hence bears no produce, he shall, if rich, be made to pay what ought to have been produced". Mencius was a Chinese philosopher (around 300 BCE) who advocated for the elimination of taxes and tariffs, to be replaced by the public collection of urban land rent: "In the market-places, charge land-rent, but don't tax the goods." During the Middle-Ages, in the West, the first regular and permanent land tax system was based on a unit of land known as the hide. The hide was originally an amount of land sufficient to support a household, but later became subject to a land tax known as "geld". The physiocrats were a group of economists who believed that the wealth of nations was derived solely from the value of land agriculture or land development. Before the Industrial Revolution, this was approximately correct. Physiocracy is one of the "early modern" schools of economics. Physiocrats called for the abolition of all existing taxes, completely free trade and a single tax on land. They did not distinguish between the intrinsic value of land and ground rent. Their theories originated in France and were most popular during the second half of the 18th century. 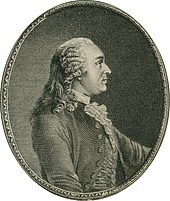 The movement was particularly dominated by Anne Robert Jacques Turgot (1727–1781) and François Quesnay (1694–1774). It influenced contemporary statesmen, such as Charles Alexandre de Calonne. The Physiocrats were highly influential in the early history of land value taxation in the United States. A participant in the Radical movement, Thomas Paine contended in his Agrarian Justice pamphlet that all citizens should be paid 15 pounds at age 21 "as a compensation in part for the loss of his or her natural inheritance by the introduction of the system of landed property." "Men did not make the earth. It is the value of the improvements only, and not the earth itself, that is individual property. Every proprietor owes to the community a ground rent for the land which he holds." This proposal was the origin of the citizen's dividend advocated by Geolibertarianism. Thomas Spence advocated a similar proposal except that the land rent would be distributed equally each year regardless of age. Adam Smith, in his 1776 book The Wealth of Nations, first rigorously analyzed the effects of a land value tax, pointing out how it would not hurt economic activity, and how it would not raise land rents. Henry George (2 September 1839 – 29 October 1897) was perhaps the most famous advocate of recovering land rents for public purposes. An American journalist, politician and political economist, he advocated a "Single Tax" on land that would eliminate the need for all other taxes. 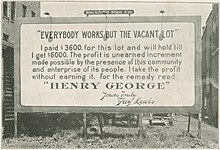 In his best-selling work Progress and Poverty (1879), Henry George argued that because the value of land depends on natural qualities combined with the economic activity of communities, including public investments, the economic rent of land was the best source of tax revenue. This book significantly influenced land taxation in the United States and other countries, including Denmark, which continues 'grundskyld' (Ground Duty) as a key component of its tax system. The philosophy that natural resource rents should be captured by society is now often known as Georgism. Its relevance to public finance is underpinned by the Henry George theorem. After the 1868 Meiji Restoration in Japan, Land Tax Reform was undertaken. A land value tax was implemented beginning in 1873. By 1880 initial problems with valuation and rural opposition had been overcome and rapid industrialisation began. In the United Kingdom, LVT was an important part of the platform of the Liberal Party during the early part of the twentieth century: David Lloyd George and H. H. Asquith proposed "to free the land that from this very hour is shackled with the chains of feudalism." It was also advocated by Winston Churchill early in his career. The modern Liberal Party (not to be confused with the Liberal Democrats, who are the heir to the earlier Liberal Party and who offer some support for the idea) remains committed to a local form of land value taxation, as do the Green Party of England and Wales and the Scottish Green Party. The 1931 Labour budget included a land value tax, but before it came into force it was repealed by the Conservative-dominated National Government that followed shortly after. An attempt at introducing site value taxation in the administrative County of London was made by the local authority under the leadership of Herbert Morrison in the 1938–9 Parliament, called the London Rating (Site Values) Bill. Although it failed, it detailed legislation for the implementation of a system of land value taxation using annual value assessment. After 1945, the Labour Party adopted the policy, against substantial opposition, of collecting "development value": the increase in land price arising from planning consent. This was one of the provisions of the Town and Country Planning Act 1947, but it was repealed when the Labour government lost power in 1951. Senior Labour figures in recent times have advocated an LVT, notably Andy Burnham in his 2010 leadership campaign, current Leader of the Opposition Jeremy Corbyn and Shadow Chancellor John McDonnell. Alfred Marshall argued in favour of a "fresh air rate", a tax to be charged to urban landowners and ‘‘levied on that value of urban land that is caused by the concentration of population’’. That ‘‘general rate’’ should have ‘‘to be spent on breaking out small green spots in the midst of dense industrial districts, and on the preservation of large green areas between different towns and between different suburbs which are tending to coalesce’’. This idea influenced Marshall's pupil Arthur Pigou's ideas on taxing negative externalities. Paul Samuelson supported a land value tax. "Our ideal society finds it essential to put a rent on land as a way of maximizing the total consumption available to the society. ...Pure land rent is in the nature of a 'surplus' which can be taxed heavily without distorting production incentives or efficiency. A land value tax can be called 'the useful tax on measured land surplus'." Milton Friedman stated: "There's a sense in which all taxes are antagonistic to free enterprise – and yet we need taxes. ...So the question is, which are the least bad taxes? In my opinion the least bad tax is the property tax on the unimproved value of land, the Henry George argument of many, many years ago." Michael Hudson is a proponent for taxing rent, especially land rent.".... politically, taxing economic rent has become the bête noire of neoliberal globalism. It is what property owners and rentiers fear most of all, as land, subsoil resources and natural monopolies far exceed industrial capital in magnitude. What appears in the statistics at first glance as "profit" turns out upon examination to be Ricardian or "economic" rent." Paul Krugman agreed that a land value tax is efficient, however he disputed whether it should be considered a single tax, as he believed it would not be enough alone, excluding taxes on natural resource rents and other Georgist taxes, to fund a welfare state. "Believe it or not, urban economics models actually do suggest that Georgist taxation would be the right approach at least to finance city growth. But I would just say: I don’t think you can raise nearly enough money to run a modern welfare state by taxing land [only]." Joseph Stiglitz, articulating the Henry George theorem wrote that, "Not only was Henry George correct that a tax on land is nondistortionary, but in an equilitarian society ... tax on land raises just enough revenue to finance the (optimally chosen) level of government expenditure." Land value taxes were common in Western Canada at the turn of the twentieth century. In Vancouver LVT became the sole form of municipal taxation in 1910 under the leadership of mayor, Louis D. Taylor. Gary B. Nixon (2000) stated that the rate never exceeded 2% of land value, too low to prevent the speculation that led directly to the 1913 real estate crash. All Canadian provinces later taxed improvements. Land value tax systems are in use in multiple countries. Land taxes in Australia are levied by the states, and generally apply to land holdings only within a particular state. The exemption thresholds vary, as do the tax rates and other rules. In New South Wales, the state land tax exempts farmland and principal residences and there is a tax threshold. Determination of land value for tax purposes is the responsibility of the Valuer-General. In Victoria, the land tax threshold is $250,000 on the total value of all Victorian property owned by a person as at 31 December of each year, and taxed at a progressive rate. The principal residence, primary production land and land used by a charity are exempt from land tax. In Tasmania the threshold is $25,000 and the audit date is 1 July. Between $25,000 and $350,000 the tax rate is 0.55% and over $350,000 it is 1.5%. In Queensland, the threshold for individuals is $600,000 and $350,000 for other entities, and the audit date is 30 June. In South Australia the threshold is $332,000 and taxed at a progressive rate, the audit date is 30 June. By revenue, property taxes represent 4.5% of total taxation in Australia. A government report in 1986 for Brisbane, Queensland advocated a land tax. The Henry Tax Review of 2010 commissioned by the federal government recommended that state governments replace stamp duty with land value tax. The review proposed multiple marginal rates and that most agricultural land would be in the lowest band with a rate of zero. Only the Australian Capital Territory moved to adopt this system and planned to reduce stamp duty by 5% and raise land tax by 5% for each of twenty years. Common property taxes include land value, which usually has a separate assessment. Thus, land value taxation already exists in many jurisdictions. Some jurisdictions have attempted to rely more heavily on it. In Pennsylvania certain cities raised the tax on land value while reducing the tax on improvement/building/structure values. For example, the city of Altoona adopted a property tax that solely taxes land value in 2002 but repealed the tax in 2016. In the late 19th century followers of Henry George founded a single tax colony at Fairhope, Alabama. Although the colony, now a nonprofit corporation, still holds land in the area and collects a relatively small ground rent, the land is subject to state and local property taxes. Government rent in Hong Kong, formerly the crown rent, is levied in addition to Rates. For properties that are located in the New Territories (including New Kowloon), or located in the rest of the territory and whose land grant was recorded after 27 May 1985, government rent is levied at 3% of the rateable rental value. Estonia levies a land value tax which is used to fund local municipalities. It is a state level tax, but 100% of the revenue is used to fund Local Councils. The rate is set by the Local Council within the limits of 0.1-2.5%. It is one of the most important sources of funding for municipalities. The land value tax is levied on the value of the land only, improvements are not considered. Very few exemptions are considered on the land tax and even public institutions are subject to the land value tax. Land that is the site of a church is exempt, but other land held by religious institutions is not exempt. The tax has contributed to a high rate (~90%) of owner-occupied residences within Estonia, compared to a rate of 67.4% in the United States. Pure LVT, apart from real estate or generic property taxation, is used in Singapore and Taiwan. It has also been used in Mexicali, Mexico. China's Real Rights Law contains provisions founded on LVT analysis. In 2010 the government of Ireland announced that it would introduce an LVT, beginning in 2013. However following a 2011 change in government, a property value tax was introduced instead (see Local property tax (Ireland)). Kenya's LVT history dates to at least 1972, shortly after it achieved independence. Local governments must tax land value, but are required to seek approval from the central government for rates that exceed 4 percent. Buildings were not taxed in Kenya as of 2000. The central government is legally required to pay municipalities for the value of land it occupies. Kelly claimed that maybe as a result of this land reform, Kenya became the only stable country in its region. As of late 2014, the city of Nairobi was still taxing only land values, although a tax on improvements had been proposed. A land value taxation on rural land was introduced in Namibia, with the primary intention of improving land use. to improve the understanding of and support for Land Value Taxation amongst members of the Liberal Democrats; to encourage all Liberal Democrats to promote and campaign for this policy as part of a more sustainable and just resource based economic system in which no one is enslaved by poverty; and to cooperate with other bodies, both inside and outside the Liberal Democrat Party, who share these objectives. A course in "Economics with Justice" with a strong foundation in LVT are offered at the School of Economic Science, which has historical links with the Henry George Foundation. Since the establishment of the Scottish Parliament in 1999, interest in adopting a land value tax in Scotland has grown. In February 1998, the Scottish Office of the British Government launched a public consultation process on land reform. A survey of the public response found that: "excluding the responses of the lairds and their agents, reckoned as likely prejudiced against the measure, 20% of all responses favoured the land tax" (12% in grand total, without the exclusions). The government responded by announcing "a comprehensive economic evaluation of the possible impact of moving to a land value taxation basis". However, no measure was adopted. In 2000 the Parliament’s Local Government Committee's inquiry into local government finance explicitly included LVT, but the final report omitted any mention. In 2003 the Scottish Parliament passed a resolution: "That the Parliament notes recent studies by the Scottish Executive and is interested in building on them by considering and investigating the contribution that land value taxation could make to the cultural, economic, environmental and democratic renaissance of Scotland." In 2004 a letter of support was sent from members of the Scottish Parliament to the organisers and delegates of the IU’s 24th international conference—including members of the Scottish Green Party, Scottish Socialist Party and the Scottish National Party. The policy was considered the 2006 Scottish Local Government Finance Review whose 2007 Report concluded that "although land value taxation meets a number of our criteria, we question whether the public would accept the upheaval involved in radical reform of this nature, unless they could clearly understand the nature of the change and the benefits involved.... We considered at length the many positive features of a land value tax which are consistent with our recommended local property tax [LPT], particularly its progressive nature." However, "[h]aving considered both rateable value and land value as the basis for taxation, we concur with Layfield (UK Committee of Inquiry, 1976) who recommended that any local property tax should be based on capital values." In 2009, Glasgow City Council resolved to introduce LVT: "the idea could become the blueprint for Scotland’s future local taxation" The Council agreed to a "long term move to a local property tax / land value tax hybrid tax": Its Local Taxation Working Group stated that simple [non-hybrid] land value taxation should itself "not be discounted as an option for local taxation reform: it potentially holds many benefits and addresses many existing concerns". In Zimbabwe, government coalition partners the Movement for Democratic Change adopted LVT. Since 2000, political expressions of interest in the policy emerged in Belgium, Ethiopia, Republic of South Africa and other countries. The governments of Thailand and Hungary expressed some interest in the policy. Local campaigns are active in other countries, including South Korea. The IU works internationally and at the United Nations in support of the policy. In 1990, several economists wrote to then President Mikhail Gorbachev suggesting that Russia adopt LVT; its failure to do so was argued as causal in the rise of the Oligarchs. ^ a b Webb, Merryn (27 September 2013). "How a levy based on location values could be the perfect tax". Financial Times. Retrieved 14 May 2015. ^ "Why Henry George had a point". The Economist. 2015-04-01. Retrieved 29 June 2017. ^ "Why land value taxes are so popular, yet so rare". The Economist. 2014-11-10. ^ Smith, Adam (1776). The Wealth of Nations, Book V, Chapter 2, Article I: Taxes upon the Rent of Houses. Ground-rents are a still more proper subject of taxation than the rent of houses. A tax upon ground-rents would not raise the rents of houses. It would fall altogether upon the owner of the ground-rent, who acts always as a monopolist, and exacts the greatest rent which can be got for the use of his ground. ^ a b George, Henry (1879). Progress and Poverty. The often cited passage is titled "The unbound Savannah." ^ a b c Possible reforms of real estate taxation : criteria for successful policies. Brussels: European Commission, Directorate-General for Economic and Financial Affairs. 2012. ISBN 978-92-79-22920-6. ^ Kristensen, K.J. "Land Valuation in Denmark (1903-1945) by K.J. Kristensen". www.grundskyld.dk. Archived from the original on 2018-04-16. Retrieved 3 April 2018. ^ Zelmenis, Artis. "Taxes in Lithuania : Baltic Legal taxation". www.baltic-legal.com. Retrieved 3 April 2018. ^ a b Loo, Edwin (2017-04-03). "Lessons from Singapore about land value capture". www.rtpi.org.uk. Royal Town Planning Institute. Retrieved 2018-05-02. ^ McCluskey, William J.; Franzsen, Riël C. D. (2005). Land Value Taxation: An Applied Analysis. Ashgate Publishing, Ltd. p. 73. ISBN 978-0-7546-1490-6. ^ Smith, Jeffery J. (2001). "Property Tax Shift Successes". The Progress Report. Archived from the original on 14 December 2007. Retrieved 13 June 2008. ^ Foldvary, Fred E. (2005). "Geo-Rent: A Plea to Public Economists". 2 (1). Econ Journal Watch: 106–132. ^ Mills, David E. "The Non-Neutrality of Land Value Taxation". National Tax Journal. 34 (March 1981): 125, 127–128. ^ Bentick, Brian L. (1979). "The Impact of Taxation and Valuation Practices on the Timing and Efficiency of Land Use". Journal of Political Economy. 87 (August 1979): 859–860. doi:10.1086/260797. JSTOR 1831012. ^ DiMasi, Joseph A. "The Effects of Site Value Taxation in an Urban Area: A General Equilibrium Computational Approach". National Tax Journal. 40 (December 1987): 577–588. ^ Australia's Future Tax System (Report). Retrieved 3 March 2013. ^ Gihring, Thomas A. "The Value Capture Approach To Stimulating Transit Oriented Development And Financing Transit Station Area Improvements" (PDF). Victoria Transport Policy Institute. ^ Speirs, Mark. "Land Value Taxation: An Underutilized Complement to Smart Growth Policies" (PDF). Archived from the original (PDF) on 2012-06-11. Retrieved 2012-12-16. ^ Wetzel, Dave (20 September 2004). "The case for taxing land". New Statesman. Archived from the original on 14 August 2007. Retrieved 13 June 2008. ^ Smith, Julie P. (June 2000). "Land Value Taxation: A Critique Of 'Tax Reform, A Rational Solution'" (PDF). Australian National University. ISSN 1442-8636. Archived from the original (PDF) on 24 September 2010. Retrieved 13 June 2008. ^ Rothbard, Murray. "The Single Tax: Economic and Moral Implications and A Reply to Georgist Criticisms" (PDF). The Mises Institute. Retrieved 13 February 2009. ^ Downing, Paul B. (1970). "Estimating Residential Land Value by Multivariate Analysis". Published for the Committee on Taxation, Resources and Economic Development by the University of Wisconsin Press. Retrieved 13 February 2009. ^ "Property Reference Number". The Land Registry. Retrieved 22 December 2008. ^ Törhönen, Mika-Petteri (15 January 2003). "Sustainable Land Tenure and Land Registration in Developing Countries, Including a Historical Comparison with an Industrialised Country" (PDF). Final version. Elsevier Science Ltd. Retrieved 22 May 2008. ^ Keith, Simon H. (October 1993). "Property Tax in Anglophone Africa: A Practical Manual" (PDF). Washington, DC: The World Bank: 10. ISSN 0253-7494. Retrieved 12 June 2008. ^ Hudson, Michael. "Productivity, The Miracle of Compound Interest and Poverty". Retrieved 19 May 2015. ^ Ricardo, David (1821). On the Principles of Political Economy and Taxation. London: John Murray. Retrieved 15 October 2018. ^ Samuelson, Paul (1985). Economics (12th Edition). New York: McGraw-Hill. pp. 603–605. ISBN 978-0070546851. ^ Gandhi, Sona. "Presumptive Direct Taxes". Retrieved 24 May 2015. ^ Foldvary, Fred (January 2006). "The Ultimate Tax Reform: Public Revenue from Land Rent" (PDF). Civil Society Institute. Retrieved 24 May 2015. ^ "A Study in Land Value Taxation". Seek Estate. Archived from the original on 2 June 2014. Retrieved 6 February 2014. ^ Harry Gunnison Brown (1936). "A Defense of the Single-Tax Principle." Annals of the American Academy of Political and Social Sciences 183 (January): 63. ^ Paul VI. "Populorum Progressio, item 23". Retrieved 13 February 2009. ^ The Catholic Church (1992). "Part 3, Section 2, Chapter 2, Article 7: 'You shall not steal.' §§ 2402-2406". The Catechism of the Catholic Church. The Vatican. ^ Rybeck, Rick (2004). "Using Value Capture to Finance Infrastructure and Encourage Compact Development". Public Works Management & Policy. 8 (4): 249–260. doi:10.1177/1087724X03262828. ^ Plummer, Elizabeth (March 2010). "Evidence on the Distributional Effects of a Land Value Tax on Residential Households" (PDF). National Tax Journal. Retrieved 7 January 2015. ^ Aaron, Henry (May 1974). "A New View of Property Tax Incidence". The American Economic Review. 64 (2). Retrieved 7 January 2015. ^ "Land Value Taxation". p. 73. ^ Seligman, Edwin R. (1937). Encyclopaedia of the Social Sciences. Macmillan Publishing Company, Incorporated. p. 70. ISBN 978-0-02-609130-5. ^ Papers Of The Manchester Literary Club, Volume 33. Manchester Literary Club. 2012. p. 503. ISBN 978-1-176-12707-4. Retrieved 25 May 2015. ^ Muller, Charles. "Mencius (Selections)". Retrieved 25 May 2015. ^ Lapidge, Michael; Godden, Malcolm; Keynes, Simon (4 March 1999). Anglo-Saxon England. Cambridge University Press. ISBN 978-0-521-62243-1. ^ Fonseca, Gonçalo L. "The Physiocrats". The History of Economic Thought Website. Archived from the original on 27 February 2009. Retrieved 18 March 2009. ^ Fraenckel, Axel (1929). "The Physiocrats and Henry George". 4th International Conference of the International Union for Land Value Taxation and Free Trade. The School of Cooperative Individualism. Archived from the original on 6 September 2008. Retrieved 10 July 2008. ^ Steiner, Phillippe (2003) Physiocracy and French Pre-Classical Political Economy in eds. Biddle, Jeff E, Davis, Jon B, & Samuels, Warren J. A Companion to the History of Economic Thought p.62. Blackwell Publishing, 2003. ^ Paine, Thomas. "Agrarian Justice". Constitution Society. Retrieved 23 December 2012. ^ Spence, Thomas. "The Rights of Infants". The Thomas Spence Society. Archived from the original on 21 March 2013. Retrieved 23 December 2012. ^ See Kristensen, K.J. : Land Valuation in Denmark (1903-1945) Archived 2018-06-21 at the Wayback Machine. First published 1945 by International Union for Land Value Taxation and Free Trade. Revision of Paper delivered at The International Conference, New York, 1939. ^ "A revolutionary who won over Victorian liberals". New Statesman. London. 20 September 2004. Archived from the original on 10 January 2006. Retrieved 13 February 2009. ^ Churchill, Winston (1909). "Land Price as a Cause of Poverty". Archived from the original on 17 December 2001. Retrieved 13 February 2009. ^ "Action for Land Taxation and Economic Reform". Liberal Democrat ALTER. ^ "Policy Statement — Planning". The Liberal Party. Archived from the original on 2009-01-29. Retrieved 13 February 2009. ^ "Land" (PDF). Manifesto for a Sustainable Society. Green Party of England and Wales. March 2000. Archived from the original (PDF) on 8 September 2008. Retrieved 5 March 2009. ^ "Greens unveil land tax proposals". BBC News. 12 March 2004. Retrieved 22 December 2008. ^ Wenzer, Kenneth C. (1999). Land-Value Taxation: The Equitable and Efficient Source of Public Finance. New York: M. E Sharpe Inc. p. 163. ISBN 978-0-7656-0448-4. ^ "London Rating (Site Values) — A Bill". Land Value Taxation Campaign. Retrieved 22 December 2008. ^ Alfred Marshall (1895). Principles of Economics. Macmillan. p. 718. ^ "ESHET CONFERENCE - The Practices of Economists in the Past and Today - Amsterdam". www.eshet.net. Retrieved 2015-08-20. ^ Nicolaus Tideman (1 January 1994). Land and taxation. Shepheard-Walwyn in association with Centre for Incentive Taxation (London, England). ISBN 978-0-85683-162-1. ^ Moore, Michael Scott (20 October 2009). "This Land Is Your Land". Retrieved 20 August 2015. ^ Stiglitz, Joseph (1977). "The theory of local public goods". In Feldstein, Martin; Inman, Robert (eds.). The Economics of Public Services. London: Macmillan Publishers. pp. 274–333. Quote from page 282. ^ Francis, Daniel (2004). L.D. : Mayor Louis Taylor and the rise of Vancouver. Vancouver: Arsenal Pulp Press. pp. 82–83. ISBN 978-1-55152-156-5. ^ Nixon, Gary B. (2000-11-01). "Canada". American Journal of Economics and Sociology. 59 (5): 65–84. doi:10.1111/1536-7150.00086. ISSN 1536-7150. ^ "NSW.gov.au". Lands.nsw.gov.au. Archived from the original on 2 July 2010. Retrieved 25 September 2010. ^ "State Revenue Office, Land Tax". sro.vic.gov.au. Retrieved 3 April 2018. ^ Communications, c=AU; o=The State of Queensland; ou=Department of Environment and Heritage Protection; ou=Corporate. "What is land tax? - Environment, land and water". www.qld.gov.au. Retrieved 3 April 2018. ^ "5506.0 - Taxation Revenue, Australia, 2007-08". 14 April 2009. Archived from the original on 30 August 2009. Retrieved 26 October 2013. ^ "Brisbane's Inquiry into Land Value Rating". Land Value Taxation Campaign. Retrieved 22 December 2008. ^ "The short life of Pennsylvania's radical tax reform". Washington Examiner. Retrieved 2017-02-13. ^ "Lands Department - Payment of Government Rent". Landsd.gov.hk. Retrieved 16 May 2012. ^ "Rating and Valuation Department - Public Services". Rvd.gov.hk. Archived from the original on 29 April 2012. Retrieved 16 May 2012. ^ a b c "Land Taxation Reform in Estonia" (PDF). Archived from the original (PDF) on 6 August 2010. ^ SAURUS - www.saurus.info (1 July 1993). "Land Tax law in Estonia". Fin.ee. Archived from the original on 30 July 2012. Retrieved 16 May 2012. ^ Perlo Cohen, Manuel (September 1999). "Mexicali: A Success Story of Property Tax Reform". Land Lines. 11. Retrieved 22 December 2008. ^ "China: private property, common resources". Land&Liberty. 114 (1218). Summer 2008. ISSN 0023-7574. Retrieved 20 August 2009. ^ The government adopted a four year plan, proposing that an "interim site value tax" would be introduced in 2012; this would not be a true LVT, because the same tax would be levied on all properties regardless of value. A true LVT was to commence in 2013 when land valuations have been conducted. See, "Government announces new 'site value tax' from 2012"
^ Kelly, Roy. "Property Taxation in East Africa: The Tale of Three Reforms" (PDF). Lincoln Institute. Archived from the original (PDF) on 12 May 2016. Retrieved 25 May 2015. ^ NJOROGE, KIARIE (18 September 2014). "Nairobi property owners brace for higher land rates". Business Daily. Retrieved 25 May 2015. ^ Norregaard, John. "Taxing Immovable Property Revenue Potential and Implementation Challenges" (PDF). IMF Fiscal Affairs Department. Retrieved 25 May 2015. ^ "Labour Land Campaign website". labourland.org. Retrieved 25 November 2010. ^ "Libdemsalter.org.uk". Libdemsalter.org.uk. Retrieved 25 September 2010. ^ "EconomicsWithJustice.co.uk". EconomicsWithJustice.co.uk. Archived from the original on 2 May 2010. Retrieved 25 September 2010. ^ "HenryGeorgeFoundation.org". HenryGeorgeFoundation.org. Archived from the original on 6 October 2010. Retrieved 25 September 2010. ^ "Scotland.gov.uk". Scotland.gov.uk. 6 July 2009. Retrieved 16 May 2012. ^ "Scottish.Parliament.uk". Scottish.Parliament.uk. Archived from the original on 1 October 2010. Retrieved 25 September 2010. ^ Maddox, David (26 June 2009). "Scotland's biggest city backs plan to replace council tax". The Scotsman. ^ "Glasgow goes for land tax". Land&Liberty. 116 (1224). 26 July 2009. ISSN 0023-7574. Retrieved 20 August 2009. ^ "Blessed be the land of Zimbabwe, etc". Land&Liberty. 115 (1222). 29 August 2008. ISSN 0023-7574. ^ "Belgian overhaul". Land&Liberty. 116 (1224). 26 July 2009. ISSN 0023-7574. ^ a b "The pioneers of the New African Age". Land&Liberty. 115 (1223). 18 January 2009. ISSN 0023-7574. Retrieved 20 August 2009. ^ "Thai tax". Land&Liberty. 115 (1222). 29 August 2008. ISSN 0023-7574. ^ "Property tax goulash". Land&Liberty. 114 (1219). 4 September 2007. ISSN 0023-7574. ^ "Standard Schaefer: An Interview with Michael Hudson on Putin's Russia". CounterPunch. Archived from the original on 16 December 2008. Retrieved 13 February 2009. ^ a b c "EJDSK2: Ejendomsskatter efter område og skattepromille". Danmarks Statistik. Retrieved 3 January 2014. ^ "Bekendtgørelse af lov om kommunal ejendomsskat". LBK nr 1104 af 22/08/2013. Somerset Webb, Merryn (27 September 2013). "How a levy based on location values could be the perfect tax". FT.com. Retrieved 29 September 2013. "Why a Land Value Tax is Inevitable". 29 September 2018.